Despite several reports to the contrary, all signs are pointing to Victor Martinez competing in the 2008 Mr. Olympia on September 27-28 at the Orleans Arena. Martinez tore his left patellar tendon in mid-January while performing a set of warm-up lunges while preparing for the Arnold Classic. 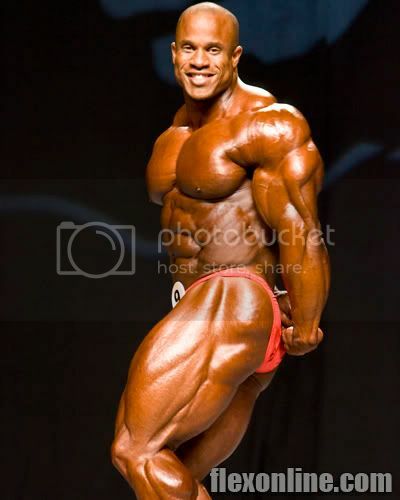 He underwent surgery on January 18, leaving his participation in the 2008 Olympia in serious jeopardy. Most have assumed that Martinez will not be able to recover in time in order to resume training for competition. However, this week, Martinez mailed in his signed Olympia contract, which can only mean one thing - the door is wide open for the No. 2 bodybuilder in the world to once again challenge Jay Cutler- and the vastly improved Dexter Jackson - for top honors at the Olympia. What does it all mean? Taken by itself, we'd look at Martinez's recent quote to be wishful thinking. But the fact that there's a signed contract, well, we're inclined to believe we'll be seeing Vic onstage in late September.